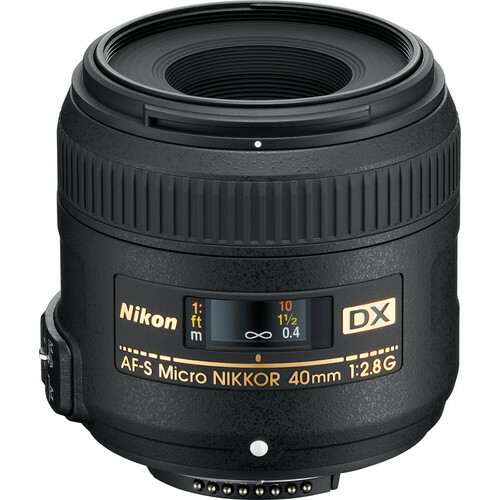 At only $280, the AF-S DX Micro NIKKOR 40mm f/2.8G offers a 1x magnification of any subject and can be treated as a great start for any micro photography enthusiast. The lens has minimum focusing distance of 0.53’ (0.163 meters). Nikon has ensured that the lens has a much improved focusing correctness by providing CRC (Close Range Correction) technology in it. What is basically does is that the focusing elements in the lens moves independent to each other which ensures more precision. SWM (Silent Wave Motor) technology in the lens ensures quiet auto-focusing. This is imperative when shooting subjects that can get easily scared by the sound of the focusing motor. Additionally Nikon’s M/A technology ensure effortless transition from auto to manual focusing just by turning the focusing ring. The maximum angle of view of the lens is 38°50′. The f/2.8 aperture and the 40mm focal length are also suitable for the purpose of shooting portraiture and even landscape photos. At the narrow end the lens can stop down to f/22. The rounded 7 blade diaphragm creates a beautiful soft out of focus effect for the foreground or the background. The lens has a total of 9 elements arranged in 7 groups. It takes a screw-on type filter of size 52mm. 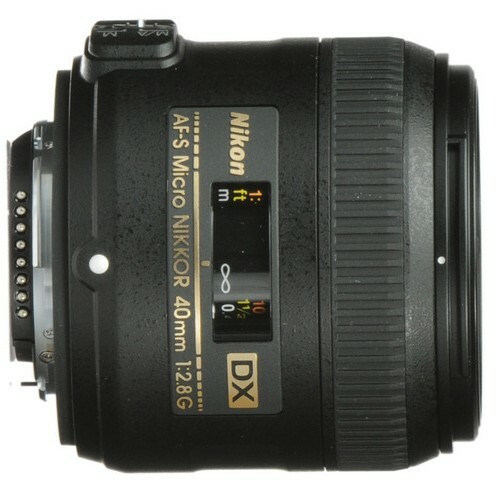 the dimensions of the lens is 2.7×2.5” (diameter x length) and has a weight of 280 grams. The lens ships with the 52mm LC-52 snap-on front lens cap, the LF-4 rear lens cap, the HB-61 bayonet hood and a pouch for the lens (CL-0915) for easy transportation. Diameter x length(extension from lens mount) Approximately 68.5 x 64.5 mm/2.7 x 2.5 in.